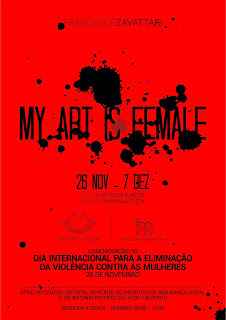 The itinerary of Francesco Zavattari's "My Art is Female" proceeds in Portugal, this time in the Atrium of the District Centre of Social Security of Oporto, opening next November 26th at 3 p.m., marking in this way the commemoration of the International Day for the Elimination of Violence Against Women. 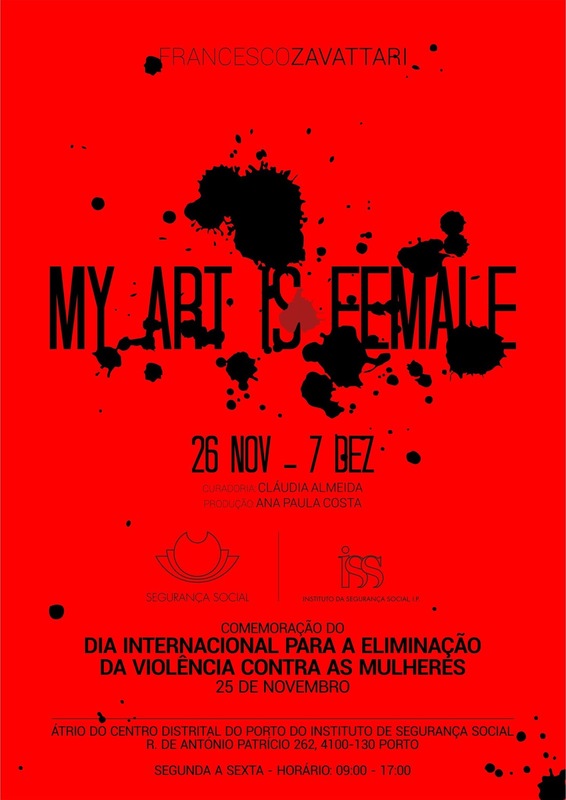 "My Art is Female" is an exhibition that results from the collaboration of the Italian plastic artist with the Portuguese association UMAR, in a campaign to prevent violence against women, held in the year 2015 and whose relevance has manifested through the numerous itineraries that have been taking place: after the debut at Quinta de Santiago Museum, in the Municipality of Matosinhos, the exhibition headed to Vila Verde (Municipal Library), Coimbra (House of Culture), Penafiel (Municipal Museum), at Galeria Piso Dois – Escola Secundária de Felgueiras, in the Conference WOMAN XXI (Cupertino de Miranda foundation – Porto) and Braga in Casa do Professor. In his words, the artist says that "Perhaps I am not the most qualified person to promote UMAR’s work because I have never believed that men and women are the same, I have always believed that women are ahead. Even so, I am very proud to have my art serve this reality in the hope that it can inject another antidote against all forms of brutality." Miguel Cardoso, Director of the Governmental Institution, says that "the noble mission that the Social Security Institute endures is reflected in the dimension of social protection, but more than that, in protecting the dignity of citizens in general. It is therefore with great pleasure that we join in this initiative to mark the international day for the elimination of violence against women, with an exposition devoted to the theme of women, their protection and the fight against the scourge of violence against women”. Francesco, an attentive to the development of society artist / man, realized clearly that once this journey was started it would be very difficult to make him give up using his "weapons" in this fight (of all). Already under construction, the next step of the project "My Art is Female" is the series "Skin Edition: Nothing but Art and Colour on a woman's body". In this series, Francesco draws on the skin of different women and photographs the final result. Each of these women will sign his photograph, her name, with her handwriting. As "soldiers," fighters.